SXSW Film Festival is known for its horror film debuts, and this year, Austin, Texas, will attract big talent and famed filmmakers. Click through the gallery to see TheWrap's buzziest titles. 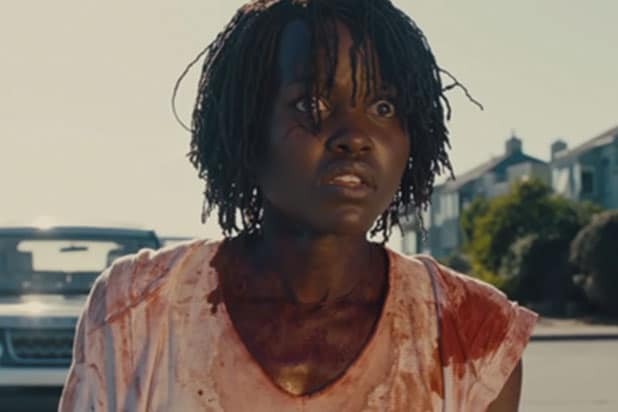 "Us" It was announced in January that Jordan Peele's newest film was set to open the 2019 festival. It’s Peele’s follow-up to his 2017 directorial debut “Get Out,” a breakout hit that earned him an Academy Award for Best Original Screenplay. “Us” stars Lupita Nyong’o and fellow “Black Panther” star Winston Duke as a married couple who take a trip to a Northern California summer beach home along with their children, and meet another couple portrayed by Elisabeth Moss and comedian Tim Heidecker. Nyong’o slowly becomes paranoid about her children’s safety, and as her concern grows, they witness four figures in red suits holding hands at the end of their driveway. Those figures aren’t just anyone, but exact replicas of themselves. 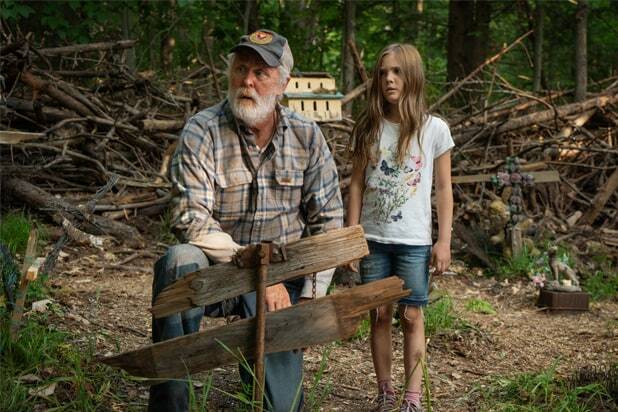 "Pet Sematary" The adaptation of Stephen King's novel will be closing the festival. Directed by Kevin Kolsch and Dennis Widmyer, "Pet Sematary” follows Dr. Louis Creed (Jason Clarke), who, after relocating with his wife and their two young children to rural Maine, discovers a burial ground near their home. He then turns to his neighbor (John Lithgow), which sets off a chain reaction of horrible events. "Mickey and the Bear" Camila Morrone recently starred in another indie that was featured in the SXSW lineup, called "Never Goin' Back," and this year, she's back with "Mickey and the Bear." She stars as a daughter who has to take care of her addict, veteran father. Annabelle Attanasio wrote and directed. "The Beach Bum" What do you get when you cast Matthew McConaughey, Snoop Dogg, Isla Fisher, Zac Efron and Jonah Hill in one movie, and market it with a movie poster that is reminiscent of "Ingrid Goes West" or "Spring Breakers"? You get "Beach Bum," written and directed by Harmony Korine, which follows a rebellious stoner who lives life by his own rules. "Good Boys" Jacob Tremblay and Lil Rel Howery star in this comedy produced by Seth Rogen, James Weaver and Evan Goldberg through the Point Grey Pictures banner. It follows three boys that decide to skip school, only for their day off to get complicated with stolen drugs and teenage girls. "Booksmart" Olivia Wilde's directorial debut is the hot topic of conversation at this year's festival. Beanie Feldstein, Billie Lourd, Jason Sudeikis, Lisa Kudrow and Kaitlyn Dever star in the comedy that follows two high school best friends who realize they should've partied more and try to cram four years of fun into one night. "The Curse of La Llorona" SXSW is best known for its debut of horror movies, and Michael Chaves' "The Curse of La Llorona" is no exception. Starring Linda Cardellini and Patricia Velasquez, the film follows a frightening supernatural creature that goes after small children. "The Highwaymen" America has always had an odd obsession with outlaws, and the saga of arguably the Great Depression era’s most iconic criminals Bonnie and Clyde is one of the most intriguing. Take that and flip it to tell the untold story of the lawmen who brought down Bonnie and Clyde. Oh, by the way, Woody Harrelson and Kevin Costner -- with six Oscar nominations between them (and two wins for Costner) -- star as the legendary detectives. "Long Shot" Oscar-winner Charlize Theron is holstering her action-packed heroine roles for a different kind of badass female character in this romantic comedy. Theron stars as the U.S. Secretary of State and presidential candidate hopeful, who brings on Seth Rogen’s character as a speech writer and slowly forms a relationship with him. TheWrap has talked extensively about the return of the romantic comedy, and with Rogen’s proven rom-com chops in 2007’s “Knocked Up,” so this film is certainly on our list of films to get tabs on coming out of Sundance. "Stuber" Kumail Nanjiani, Dave Bautista, Betty Gilpin and Karen Gillan headline this action comedy in which a detective recruits his Uber driver to help him in an adventure. "Adopt a Highway" "Adopt a Highway" is Logan Marshall-Green's directorial debut that stars Ethan Hawke and Chris Sullivan. The drama is about an ex-felon that finds a baby in a dumpster. "The Peanut Butter Falcon" Shia LaBeouf has had his fun at festivals this year, having already debuted "Honey Boy" at Sundance in January. Now, he stars in "The Peanut Butter Falcon" alongside Jon Bernthal, Dakota Johnson and Bruce Dern. It's about a young man with Down syndrome who runs away from a nursing home to become a professional wrestler. "Villains" Bill Skarsgard haunted our dreams with his recent projects "It" and "Castle Rock," and now he's heading to SXSW alongside Maika Monroe and Kyra Sedgwick with "Villains." It follows two amateur criminals who break into a home, only to find sadistic homeowners who won't let them leave under any circumstance. "I Am Richard Pryor" “I Am Richard Pryor,” directed by documentarian Jesse James Miller, tells the life story of legendary performer and iconic social satirist Richard Pryor, who transcended race and social barriers by delivering his honest, irreverent and biting humor to America’s stages and living rooms until his death at the age of 65. "State of Pride" Oscar-winning filmmakers Rob Epstein and Jeffrey Friedman travel to Salt Lake City, San Francisco and Tuscaloosa to look at LGTBQ Pride, 50 years after the Stonewall uprising. "Becoming Leslie" Tracy Frazier directs this film that looks at the bizarre world of Leslie, the cross-dressing misfit of Austin, Texas, who has become one of the most iconic symbols of the city. "Running With Beto" The documentary follows Texan Beto O'Rourke's campaign to unseat Ted Cruz in the U.S. Senate. David Modigliani directed.